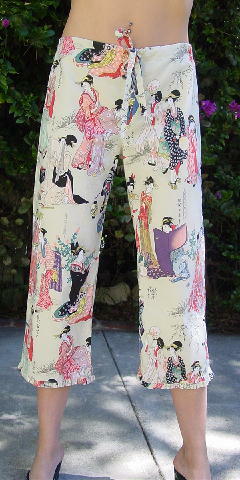 These 100% cotton clamdigger length pants were made in the USA. 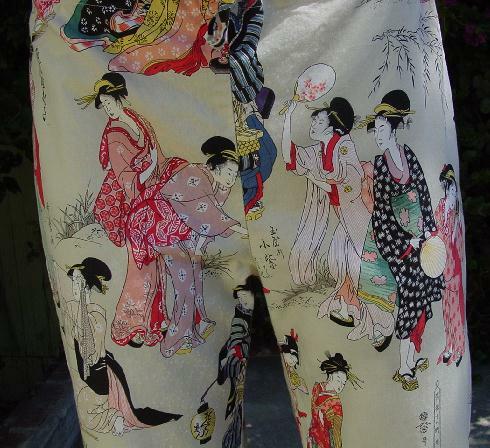 They have a design pattern of Japanese ladies in various poses wearing colorful kimonos in reds, yellow, greens, black, blues, peach, white, and purple. There are also plants, flowers, and Japanese writing. 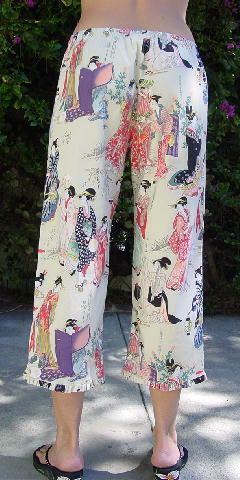 It has a drawstring waistband in the front and elastic in the back and ruffles on the leg bottoms. The tag says size L, but it fits more like a size Medium. There is a bone color background.